UFO SIGHTINGS DAILY: UFO Hovers Over Clevelands Tallest Buildings On Live Cam, Aug 2016 Video, UFO Sighting News. UFO Hovers Over Clevelands Tallest Buildings On Live Cam, Aug 2016 Video, UFO Sighting News. 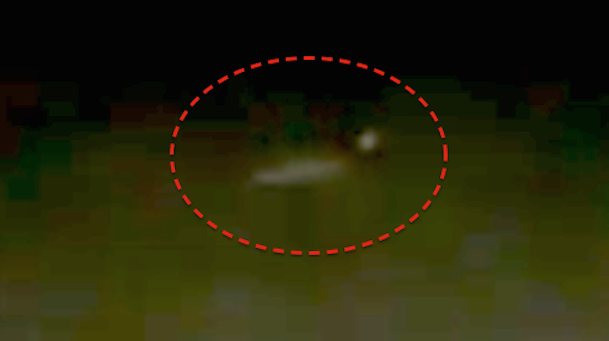 A long UFO hovered over the area of Cleveland on Aug 19, going pretty much unnoticed, except for the watchful eye of Orlando Bosca who watches the live cams for anomalies. 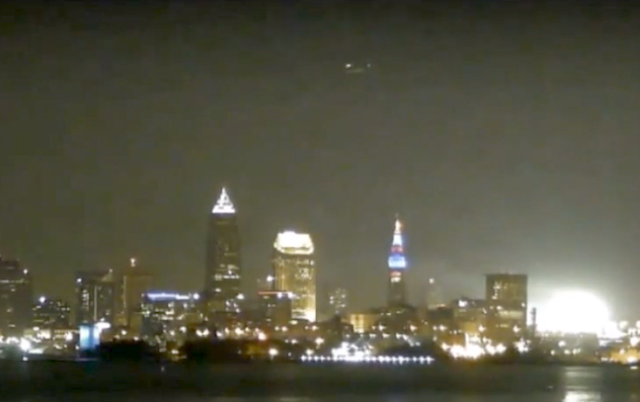 This long cigar shaped UFO has two glowing orbs on its upper right and left side as it hovers over Cleveland's tallest buildings. Perhaps it is marvelling at the cities massive buildings.